For patients who want to medicate with cannabis, without the psychoactive effects of THC, we have created Honey Pot CBD. Made with California Wildflower Honey, and Cannabis Infused Cold Pressed Virgin Coconut Oil. 20:1 Ratio CBD:THC, made with California Wildflower Honey, and Cannabis Infused Cold Pressed Virgin Coconut Oil. Contains approximately 10, 5 mg (teaspoon) doses in 1.5 fl oz. 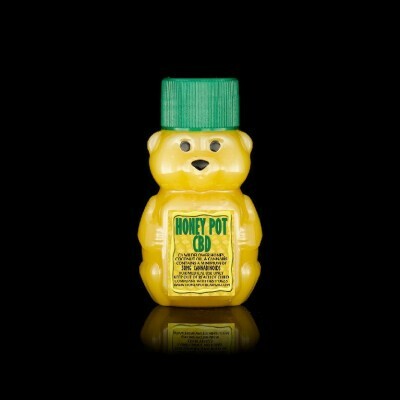 This pocket sized bear is a great travel companion, toss it in your bag for on the go medicating! !